I don't know about you but I seem to do a major cleaning spree at the turn of every season. It now takes me a bit longer to get through the whole house but I do go room by room and clear out everything and clean all cleanable surfaces in every way possible. I leave nothing unturned! When I was contacted about trying ACE cleaning products the timing could not have been better. I am always on the look out for better cleaning supplies especially those which are environmentally friendly, I was intrigued. I had heard of Ace before and I actually used their stain remover a few times when I saw it on the shelves while shopping. Never heard of ACE? They are a brand of cleaning products and stain removers which take a science based approach to environmental sustainability. They have a dedicated team who are always exploring ways to improve their sustainability. ACE's commitment is that all their products are concentrated to reduce the amount of packaging, they aim to make products which clean at lower temperatures, Use ingredients which are safe to use and that are safe for the environment! Not only are the environmentally friendly but the Ace products meet all EU environmental and waste water treatment standards too. Finally Ace aims to make their manufacturing as eco-efficient as possible by minimizing their use of energy, water and waste. ACE for Colours uses the 8 + formula which tackles stains made by grease, food, body soils, outdoors, trapped dirt, drinks, vegetable oil a and even cosmetics! I can't be the only one who ends up with some form of makeup on their clothing, can I? It always seems to become permanent once it hits fabric too. Wish it would stay on my face like that! 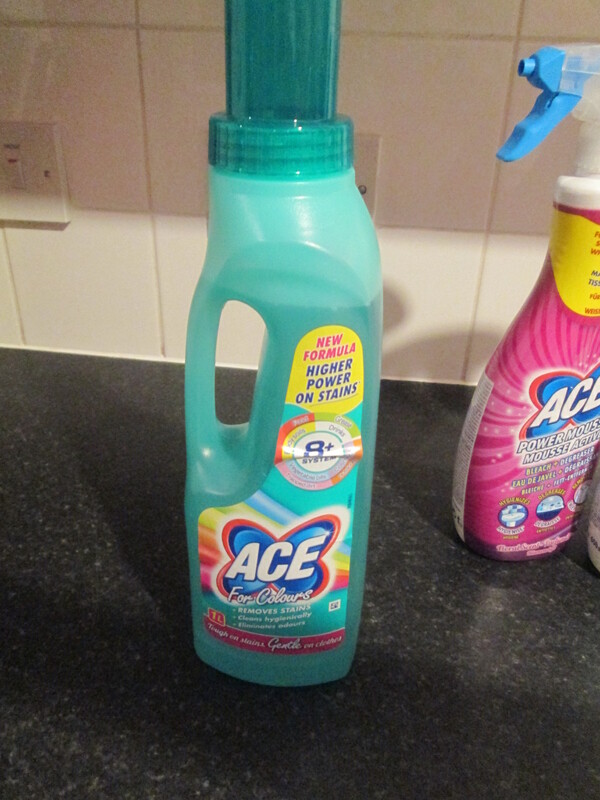 ACE for Colours comes in a 1 litre bottle which with a normal dose for a 4-5 kg wash load should last for 10 washes. 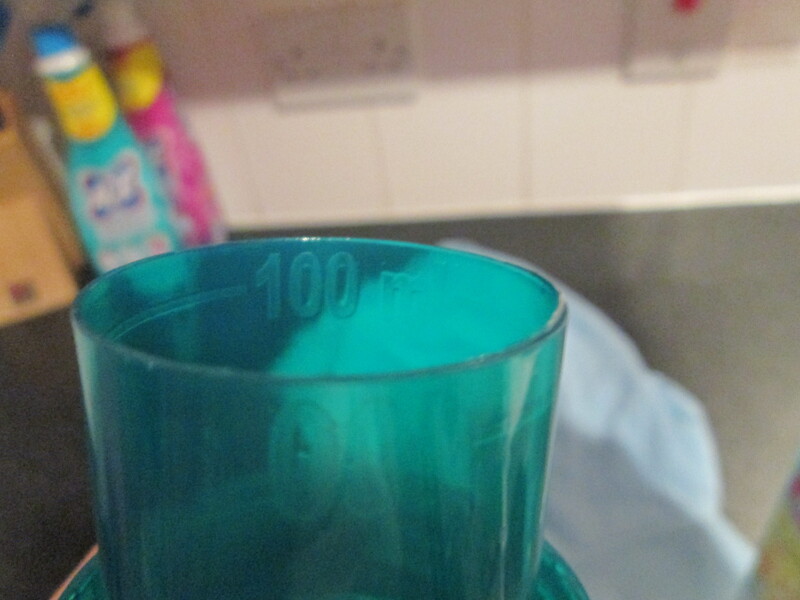 The bottle lid doubles as a handy dosage measure too with the 100ml marked out as you can see above. Unfortunately this made little to no difference to the marker. I took a new approach since I wasn't keen on putting the shirt in a basin with water and ACE for Colours solution as I don't like doing this with any clothing and have personally never had much success this way. I also usually forget about it and the item ends up needing to go in the bin! I started again by adding a very small dose (a little bit in the bottom of the cap) and an equal amount of warm water to the stain. I did mix these in the cap before adding to the shirt. I then used the side of the cap from the bottle. 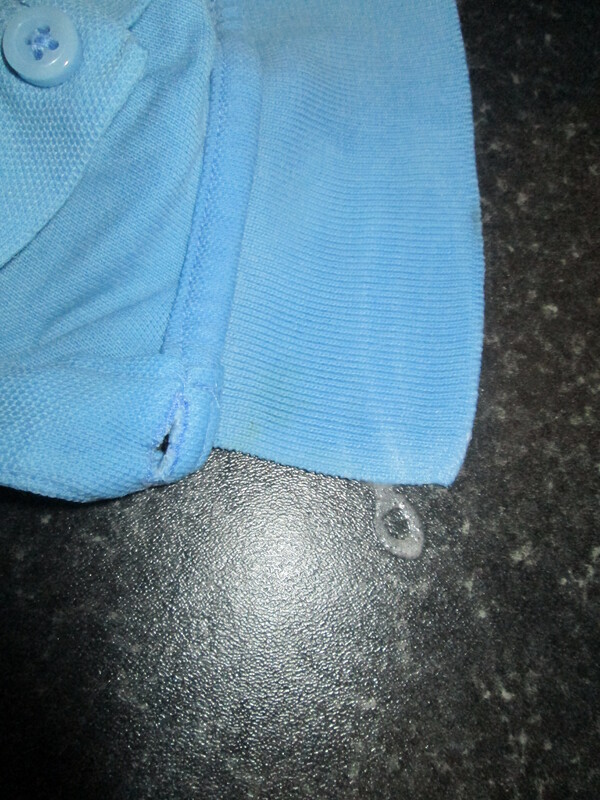 I did this with the hope the edge of the cap would not only create the friction to really rub the Ace for Colours in but would also reach into the gap lines in the collar too. A minute or so of rubbing back and forth the stain had completely vanished! 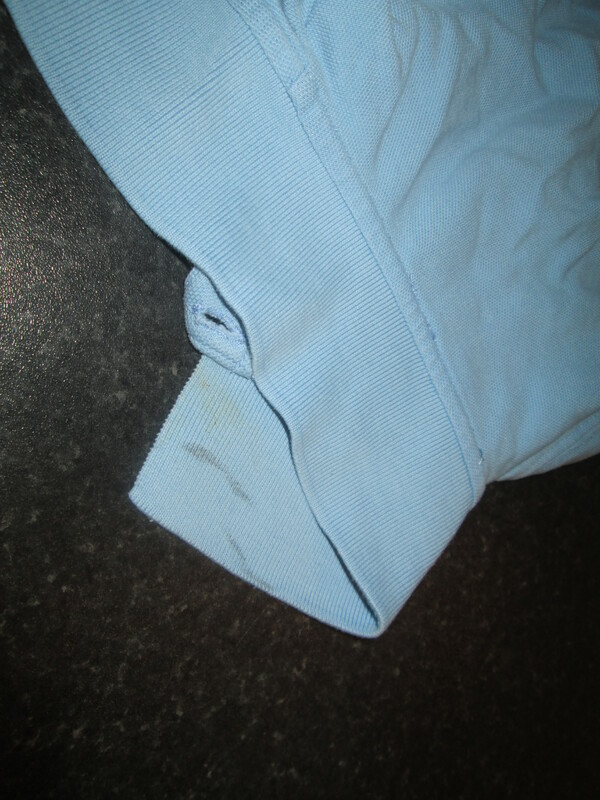 I hadn't expected that to completely remove the stain but as you can see it was just gone. Another run through the machine and the shirt was as good as new. I have since used the Ace for Colours with all the uniform items by adding it to the wash and they are faring pretty well. They smell lovely coming out of the wash (even when I forgot to add the fabric softener!). 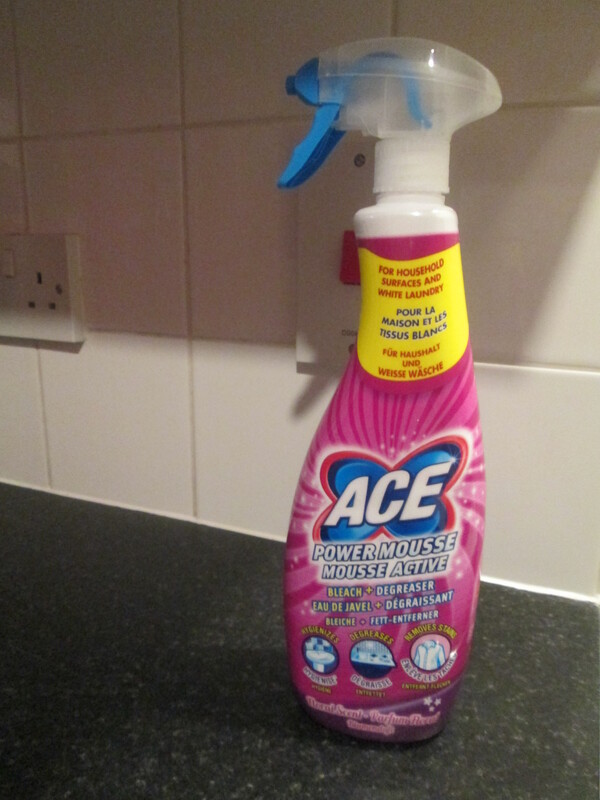 We also received ACE Multi-Purpose Spray which is a multi purpose cleaner with a bit of a difference. It can not only clean all the usual places in your home like your hard surfaces, counters, tables and sinks but it can also be used as a fabric stain remover! It is pretty much the ACE for Colours in a handy spray bottle. Which is very good for those quick cleaning jobs around the house even on limescale! 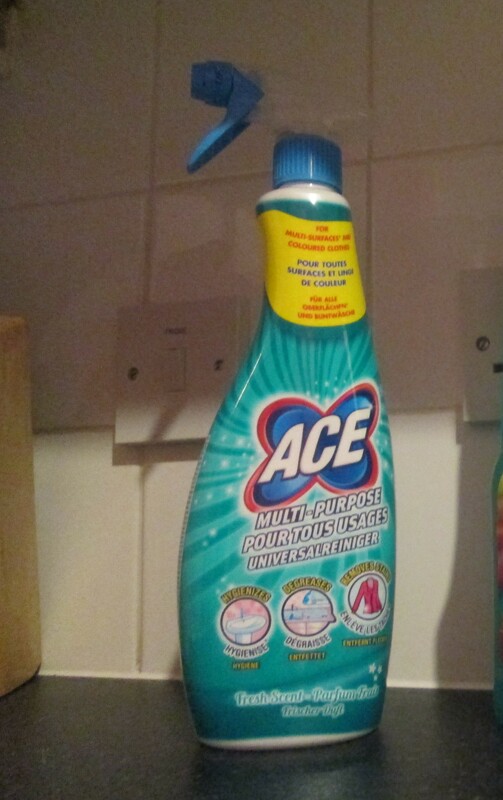 The ACE Multi-Purpose Spray comes in a large spray bottle making it easy to port around the house! The bottle is also equipped with a lockable spray tip which can be turned to the off position. I find this feature invaluable when doing my big clean outs as I really need to be able to use products during the day. I am always worried I would not be looking for one second and D would be spraying away! The lockable nozzle means I can use them without this fear. I have never left a child unattended with any cleaning supplies. Do note that all cleaning products should be kept away from children, for safety reasons. I have kept the in the kitchen most of the time as I have mainly been using it to clean the downstairs area since it is pretty much perfect for most jobs and surfaces. 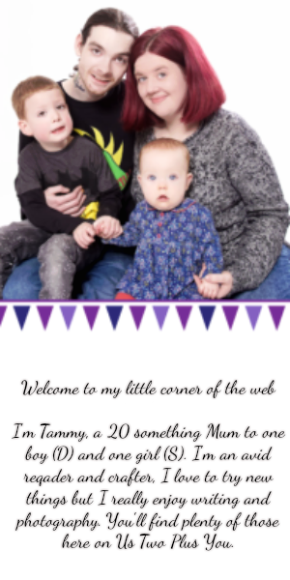 When I first used ACE Multi-Purpose Spray I was a bit apprehensive about where to use it. I mainly used it on surfaces like the kitchen counter, tops of storage units, tables, the fireplace and inside the units. It does an amazing job on these surfaces and unless it was tomato sauce which had some how dried it usually only took one wipe to lift everything! 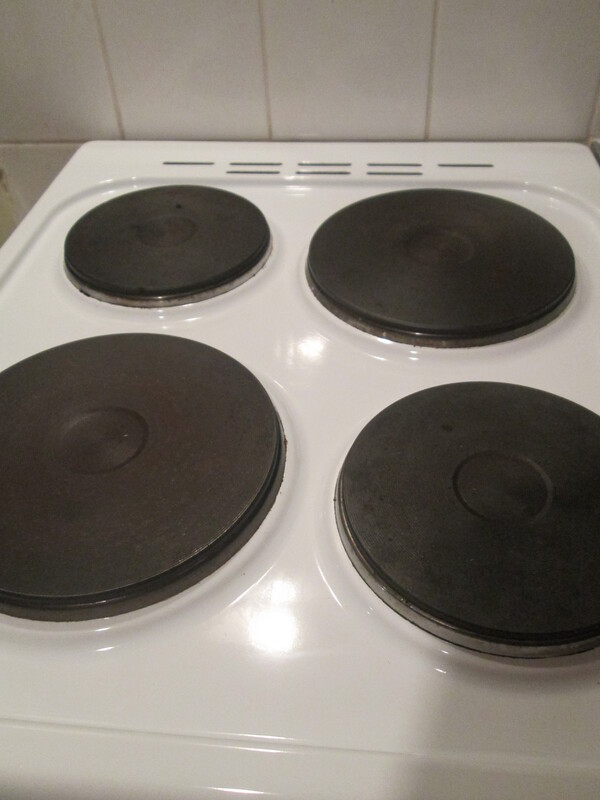 After seeing the results on other surfaces I braved using ACE Multi-Purpose Spray to clean the hobs and surrounding surface on the cooker. It was amazing! The ACE Multi-Purpose Spray nozzle helps to create an action foam while also spraying with precision making cleaning one area very easy. I usually really struggle with getting the hobs cleaned in a few minutes unless I do it straight after the hobs are cooled from making dinner. Usually that's not possible with bed times and feeds needing done. That all means that when I go to clean them later that night any residue is already hardened or close to it. In face in some cases I have resorted to using a wired pad to help me lift it better! I must say that I did get a great amount up with just the ACE Multi-Purpose Spray and kitchen roll but when I paired it with a simple wired pad I was able to remove everything. Including marks around the rings which had slowly been building up, I had actually thought we might be in need of a new cooker soon! As you can see above it has come up fantastic! The final product we receive was the ACE Power Mousse which uses both ACE cleaning power and bleach to get even better results than with ACE Multi-Purpose Spray. It uses a special formulation with bleach and degreaser which is paired with their patented technology in the nozzle system creates a great mousse that is precise and had no drips or splashes. I can attest to that fact! 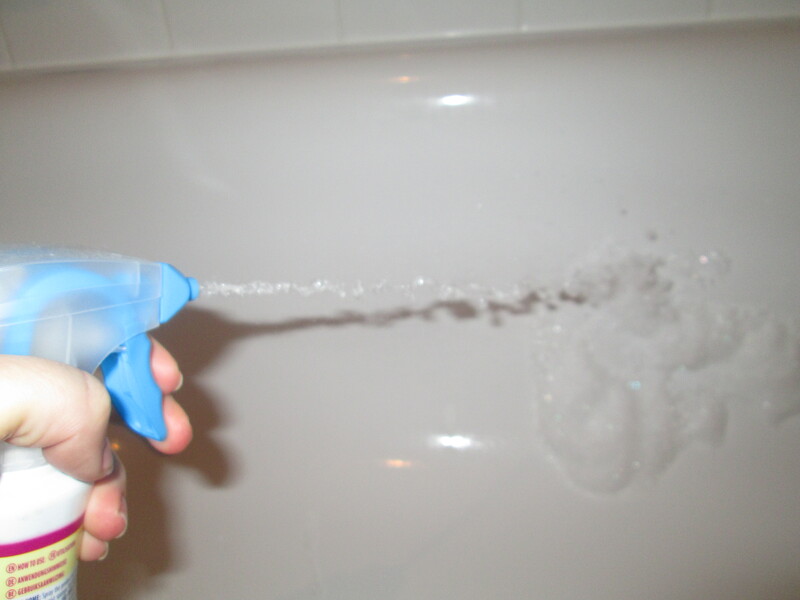 The foam creates small and precise bubble like areas with each spray! The ACE Power Mousse can be used on hard surfaces and as a fabric stain remover on white items, it's not suitable for use on colours! I have mainly been using ACE Power Mousse in the bathroom and once or twice in the kitchen. The ACE Power Mousse when initially sprayed has a lovely scent to it. I did however find that once you rub it there is a very distinct smell of bleach. Personally I do love the smell of bleach but I am always very wary of using bleach around the children. I worry about the fumes and chemicals irritating their insides. This is the main reason I keep it's use to the bathroom and sometimes the kitchen. ACE Power Mousse is perfect for cleaning the bathroom. The precision given by the nozzle technology means you can clean pretty much all areas of the bathroom. I personally prefer to use bleach in there anyway since you really need to remove all the germs! I found that ACE Power Mousse picked everything up with very little effort on my part. It was even perfect for cleaning the under part of the sink and toilet, places I usually hate doing since everything runs down onto the floor. The ACE Power Mousse made it easy to control and clean the whole room in under 30 minutes compared to my usual hour or so! You can see in the video below that ACE Power Mousse is pretty great at removing household item which can be tough. Here I am using it to remove toothpaste in a few swipes! I think it is safe to say that ACE Powder Mousse will be my new go to product for the bathroom. 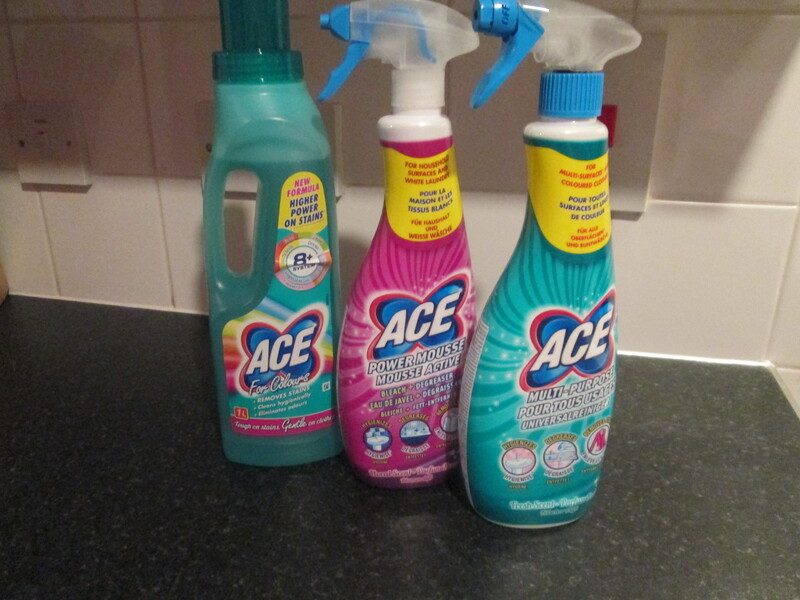 I think that out of the three products the ACE Multi-Purpose Spray was my favourite however I have liked them all and I know these will now be my go to products for household cleaning. If you are a household who care for the environment but also need products that really do work at doing the jobs they are intended to do then ACE's products are for you. I would recommend these products to everyone who does any household cleaning. I have found them all to be better at cleaning than my previous products. You can purchase ACE for Colours (RRP £2.00), ACE Multi-Purpose Spray (RRP £2.99), ACE Power Mousse (RRP £2.99). Click the links above to visit Ocado and purchase online. ACE products are available at most major supermarkets, Poundland, Superdrug and Savers to name a few. The full list is available on the ACE website. Disclaimer: We received the above products in return for an honest review. All thoughts and opinions above are my own. These sound great, I'll look out for them, we need a deep clean! I love their products especially ACE for colours which really does make light work of getting rid of stains.